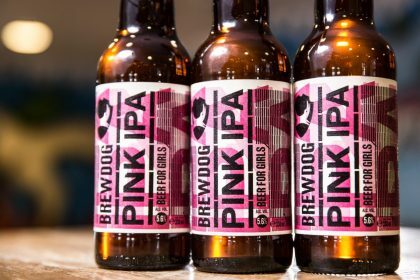 Scottish brewer BrewDog’s intentions appeared genuine enough when it repackaged one of its beers with a pink label and dubbed it a “beer for women” as a promotion for International Women’s Day. 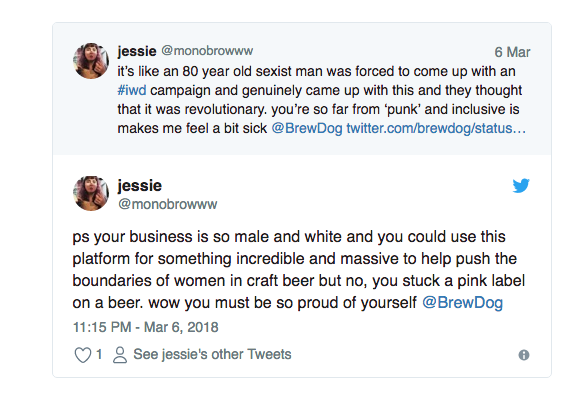 Not only did the brewer promise to donate a percentage of the beer’s sales to women’s charities, it also came at 20 per cent off the usual price, apparently to draw attention to the gender pay gap in the UK. 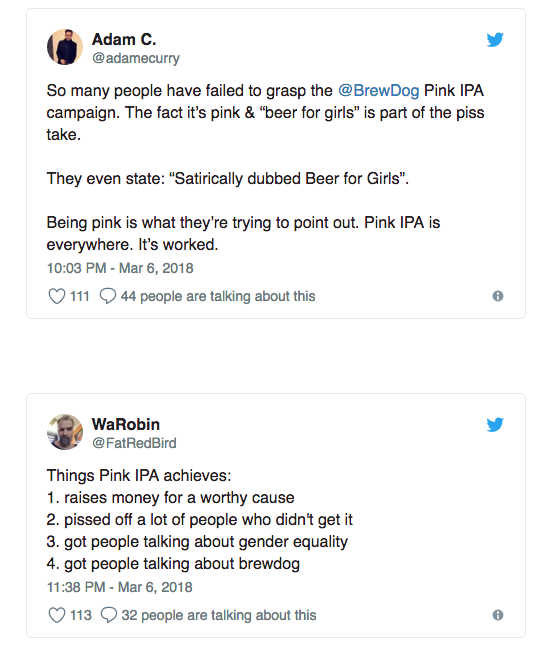 It also claimed the pink label was aimed at parodying other brands who often jumped on women’s causes but, in reality, made very little effort at all. 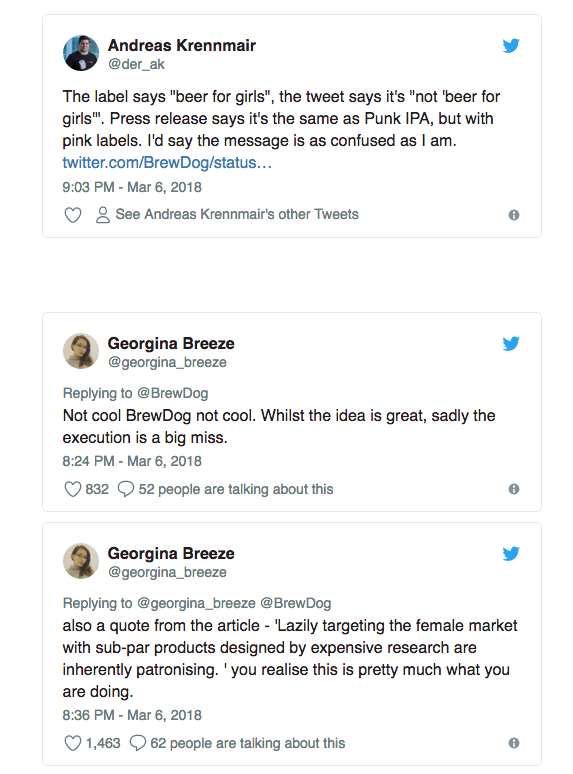 The “lurid pink” packaging and stereotyped Pink IPA brand name were apparently meant to be a “send-up of the lazy marketing efforts targeting the female market,” a BrewDog spokeswoman said. Yet, despite the brewer’s best intentions, the marketing stunt has been lambasted as just another lame marketing stunt. 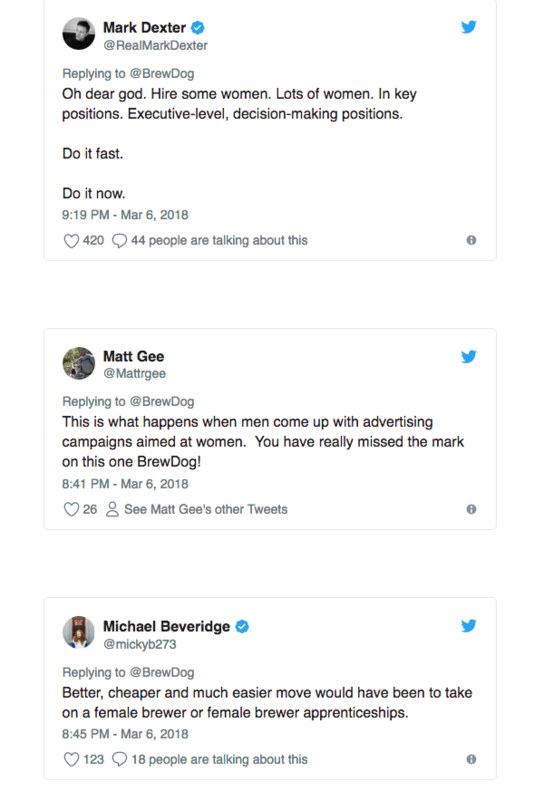 “However much they clothe it in a good cause it might be more to do with wanting more of a share of the lucrative female drinkers’ market,” said one marketing expert of the brewer’s efforts. However, the brand did find some supporters.